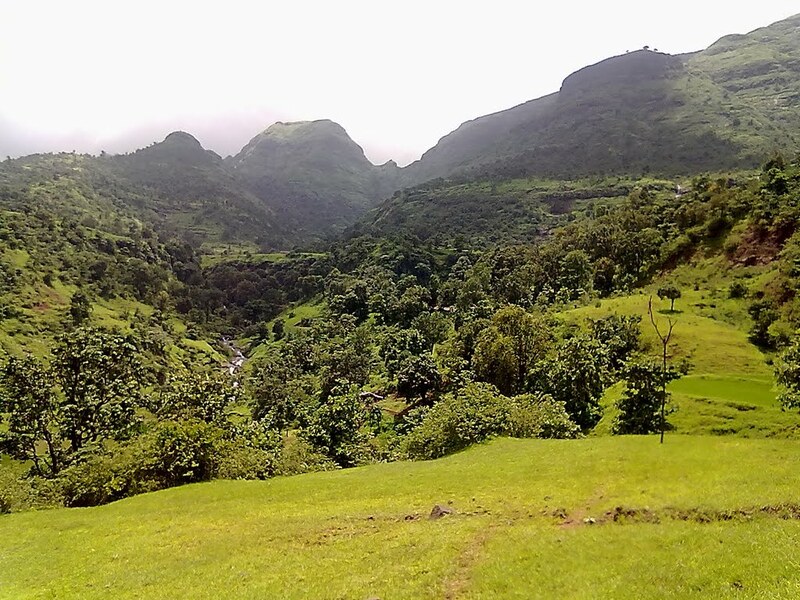 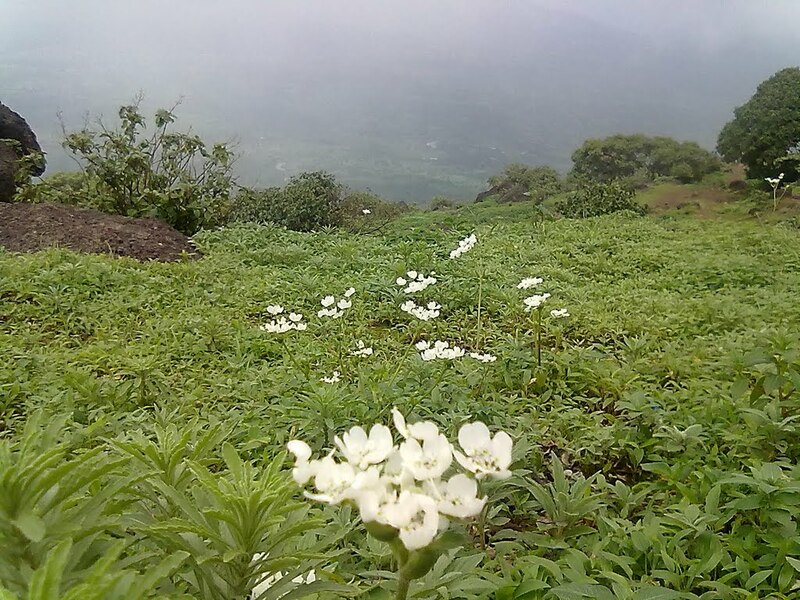 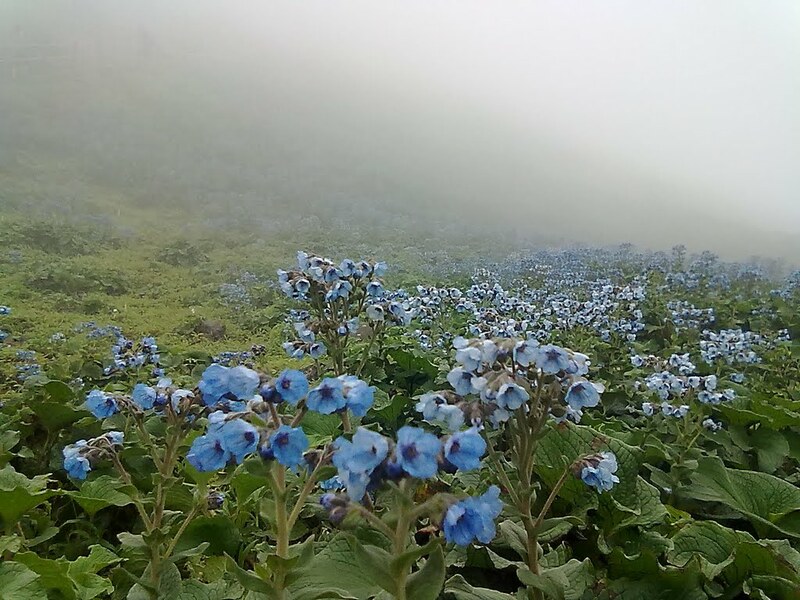 Kalsubai…………when we hear this name….we usually gone back to school days…where we learned it as Highest peak in Maharashtra!! 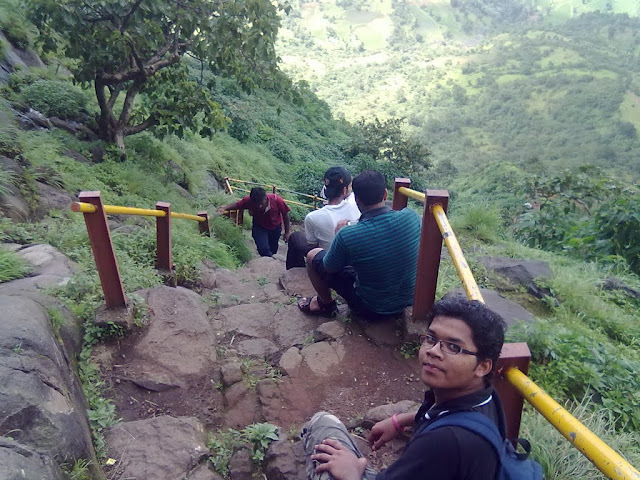 Since long time, I wanted to trek this Summit…and the opportunity knocked my door when my company-mates accepted this destination in unison. 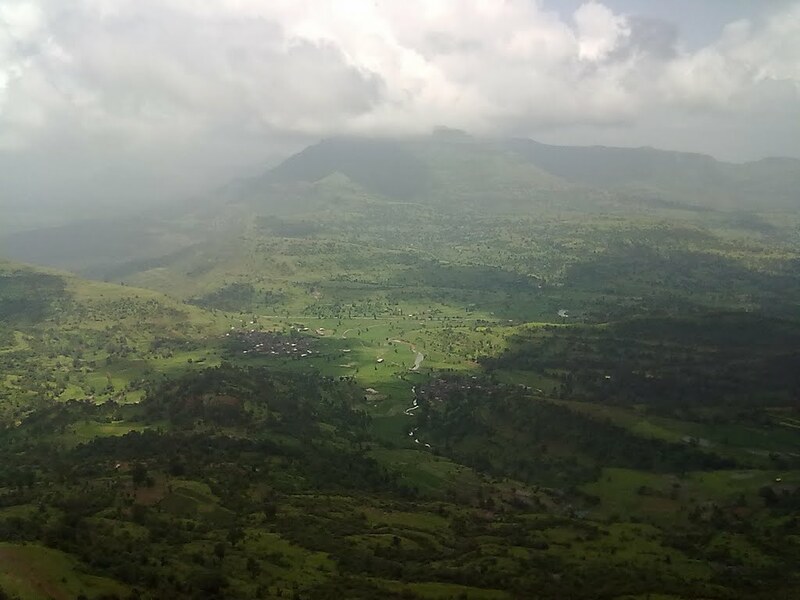 Bari (Base village) is around 180Km from Pune…..so we decided to leave early from Pune by Cab……but as usual failed and finally we(total 7 guys) left Pune@ 7.00AM. 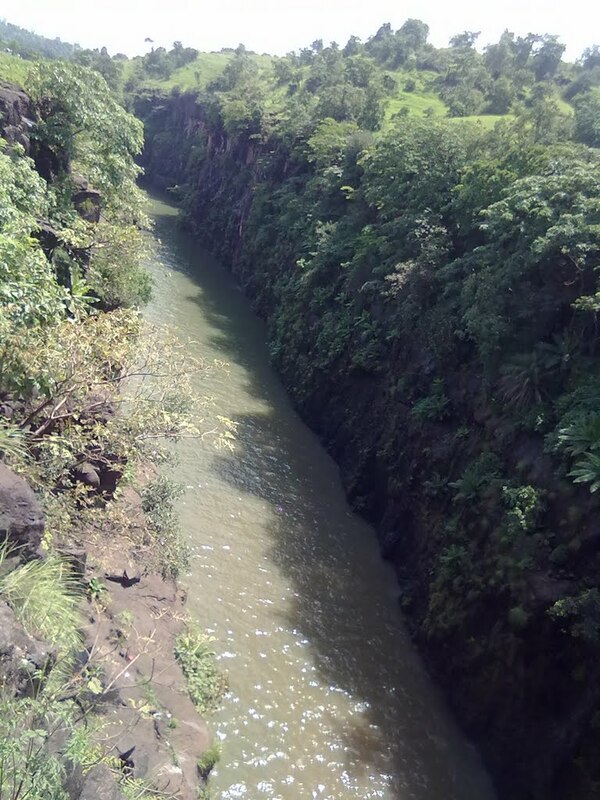 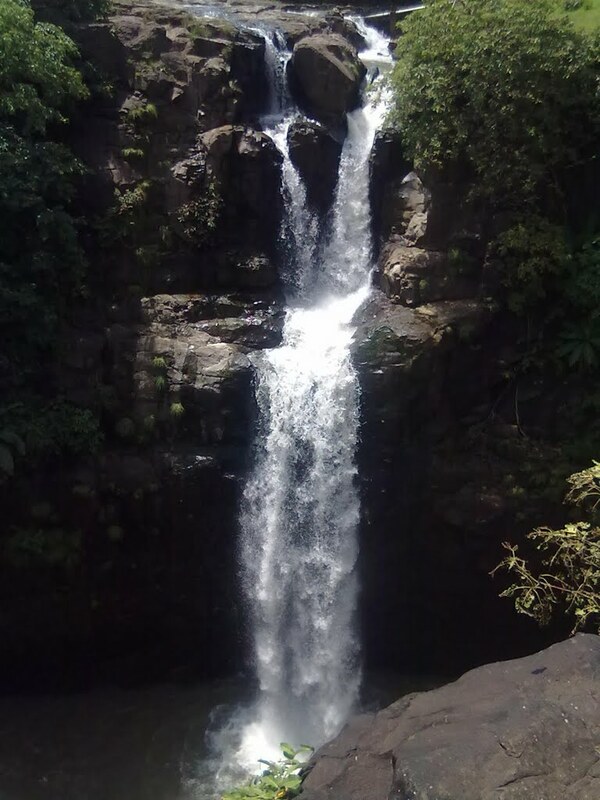 It was Sunny morning ; a good sign for trek…………………Our route was Pune-Sangamner-Akole-Rajur-Bhandardara-Bari. 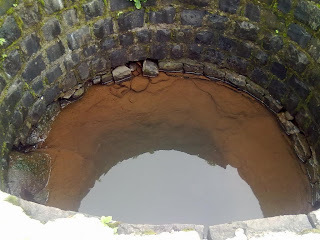 Taking breakfast @ Narayangaon we headed for further journey………….I would love to mention the Masala milk served………..at Hotel just in front of Narayangaon Bus depot ……..Outstanding…….Ekdum bhari……………. At the entry of Sangamner we stucked in traffic jam for a while…..it was really harassing……………Luckily we escape early and soon after Bus stand of Sangamner we took left turn for Akole…………….Route was full of nature…………..After Rajur, we took route for Bhandardara……….though there is direct route to Bari……but unknowingly we took the other route ……….Fist we came across Randha waterfall……………It was quite eye-freshener!!!! 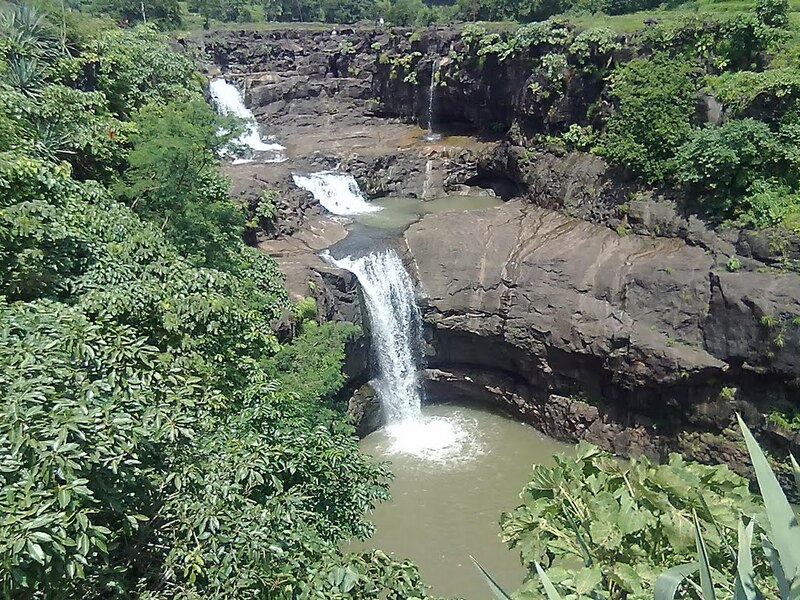 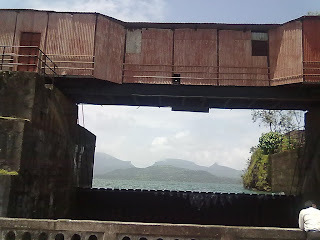 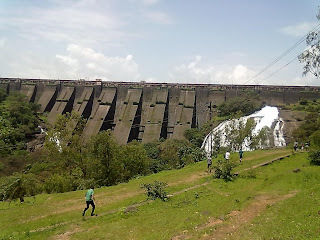 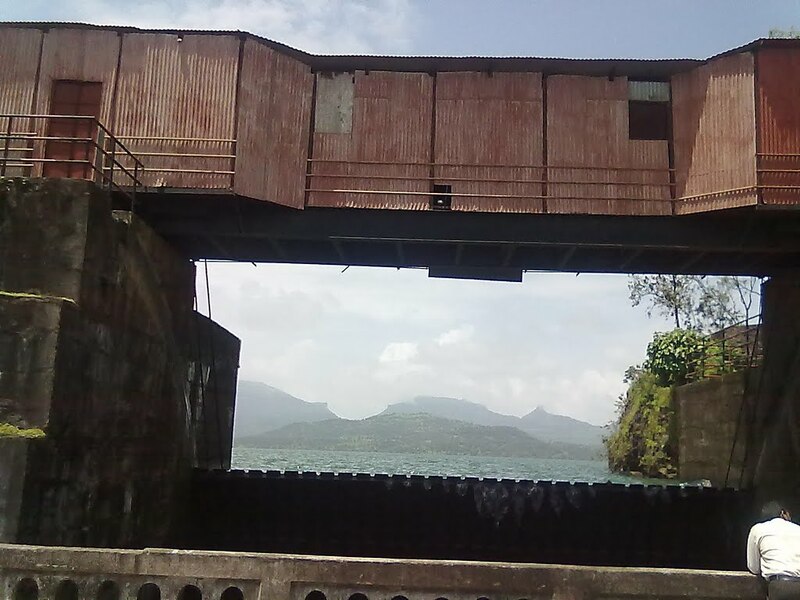 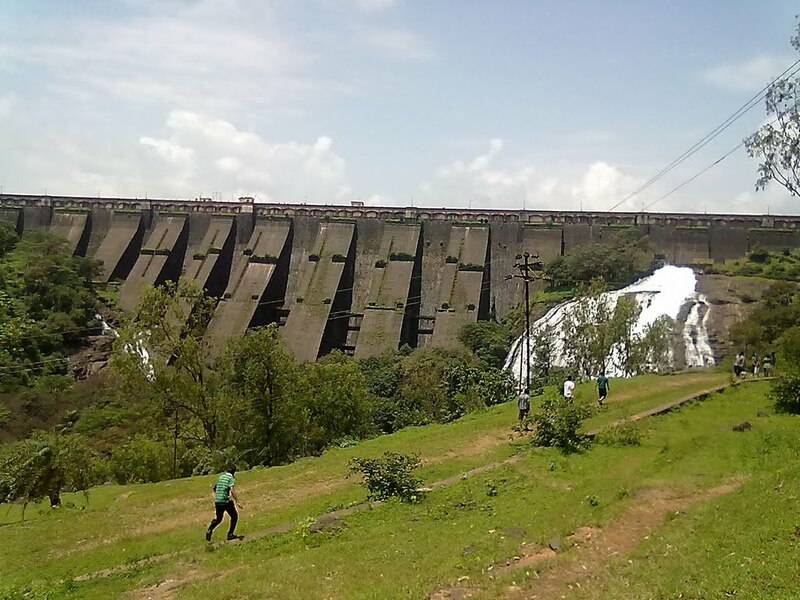 !...........spending sometime there ; we headed to Bhandardara dam, Umbrella fall and then finally to Bari. 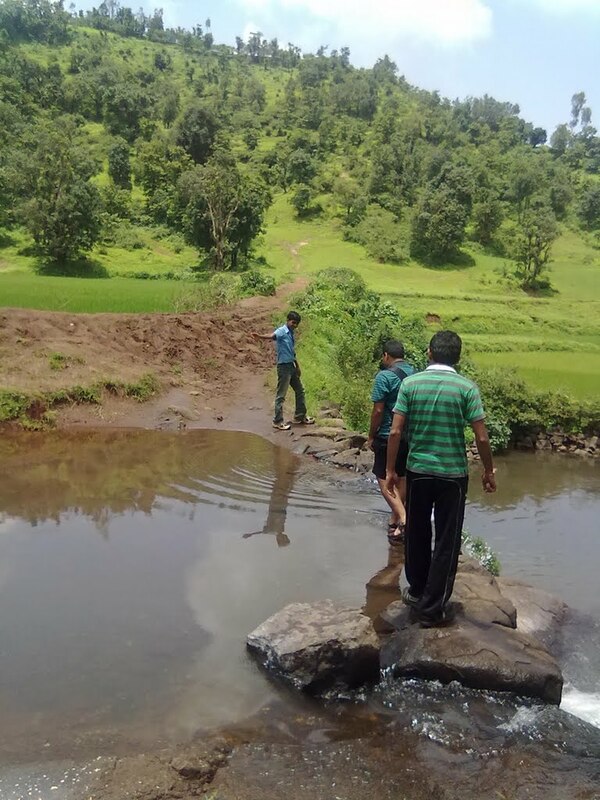 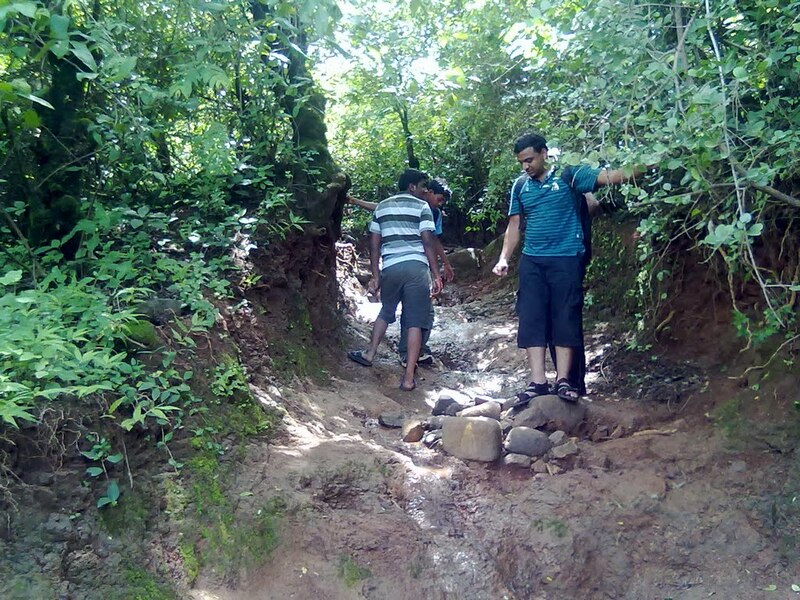 It was first time, we all gonna trek this route…..Pankya told us to hire a local guy as a guide………….Fixing a local boy for Rs. 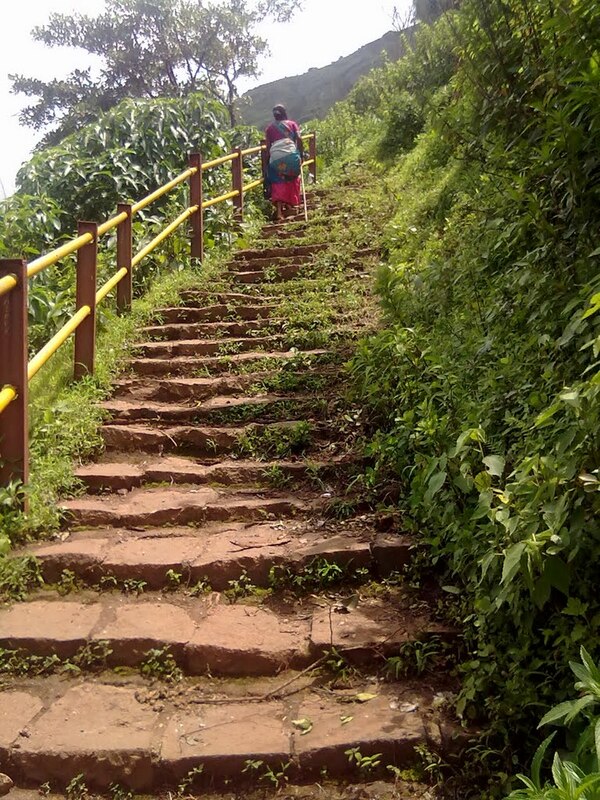 150, we started our trek @ 12.50PM………route was well defined………..50% of the whole route consist of either staircases or iron grills; set up at few rocky patches………………..Due to sunny weather, we were able to enjoy the magnificent view of Sahyadri……….. 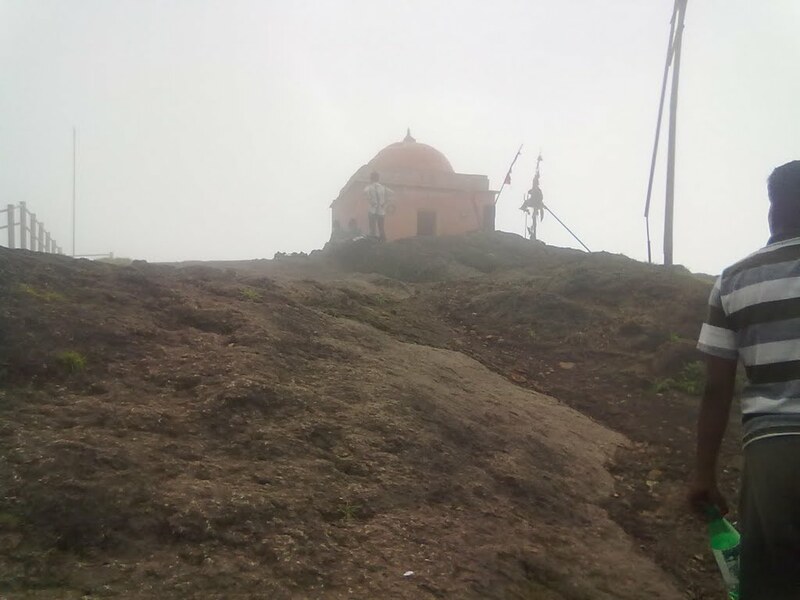 Finally at 3.10 PM, we reached to the temple of Goddess Kalsubai……………..It was moment of victory……………we were on the top of Maharashtra………The whole peak was covered with clouds……......... Heavenly feeling...............we took blessings of Goddess and wandered there for a while to capture the silhouette of adjacent Sahyadri range……….……………spending some time at the peak………..we started off our return journey with feeling of conquest!!!!!! 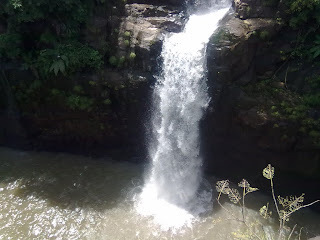 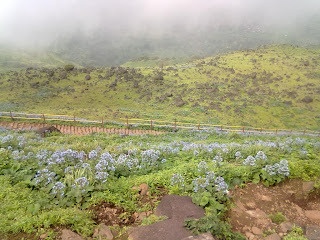 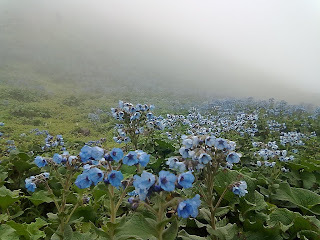 It’s not at all difficult trek nor any chances of missing the trek route without guide……….Nice trek once again. 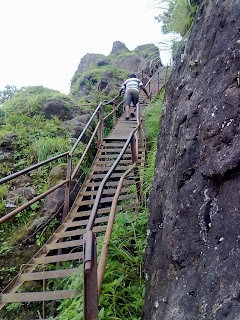 It can be completed within a day.....so those who wanna go there......try to start your journey as early as possible. 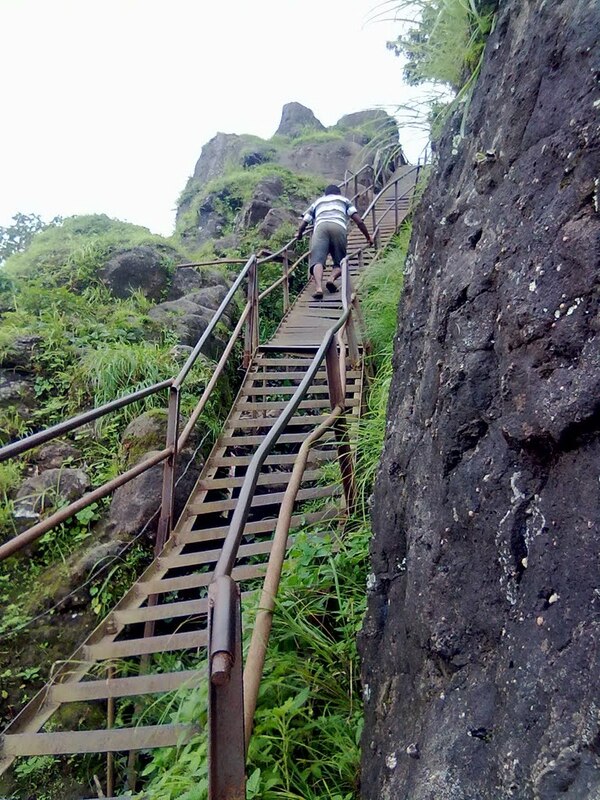 You need to reach old Katraj tunnel to start the trek. 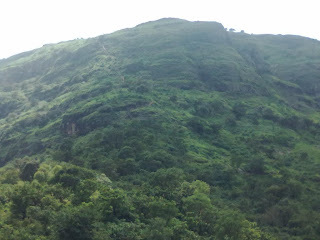 Local Pune buses can drop you there. 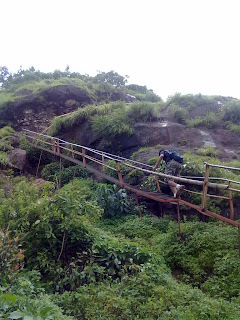 But it is advisable to trek this route with someone who already did it. 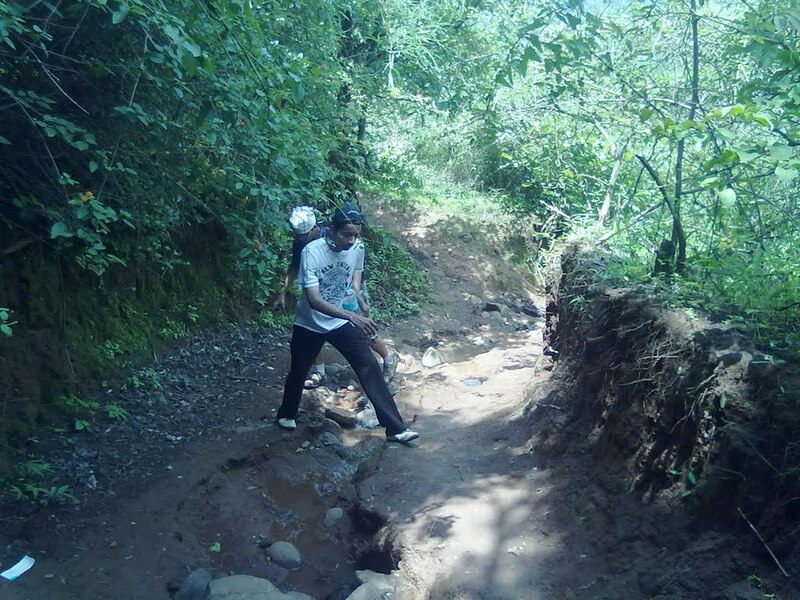 Because there are many chances to miss the route. 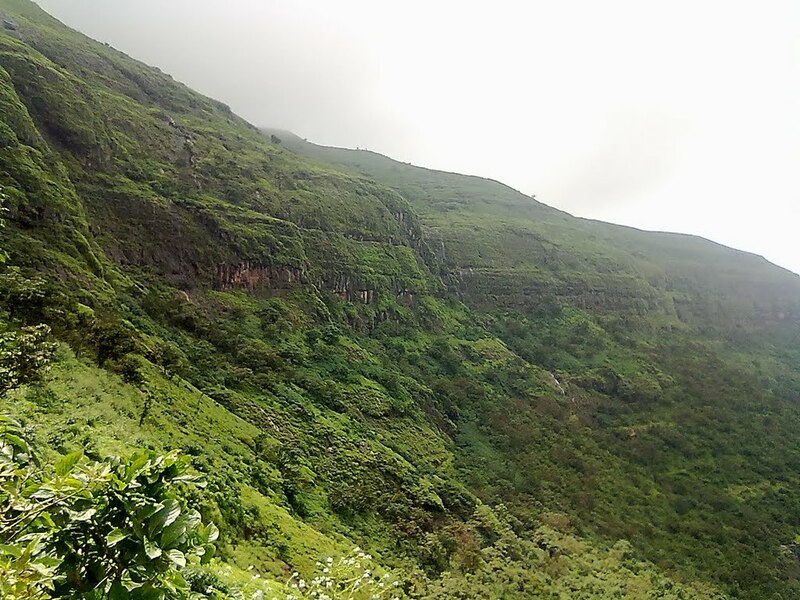 I did my first night K to S trek with Sahyadri trekkers group.....it was fun-filled experience as the group consists of 70% trekkers in the age group of 60..........it was inspiration to me to have such age-old trekkers still going strong :). Second time my company mates Sandip and Pranav wanted to trek K-S. We did this trek during day time..Those were rainy days ....As I did earlier trek @ night.....I was not that much sure of the whole trek route..this trek route consists of 13 hills to cross and about 17Km distance..........We started off with enthusiasm but soon after 2nd hill we lost our track and went to wrong path.........we realized it after walking 2 Km .......then we again came back to hill where we lost our way.... u will find two routes,one goes to left and other to right..........Remember, for this trek always choose RIGHT route at any instant of time......we again started for further journey.........again at one hill we missed our way and wandered around a hill for long time..........this whole scene made my friends exhausted.......they wanted to give up ......I tried to convince them but their bodies made a final call and we retracted back..........It was my fault so I decided to complete this trek again..Soon the opportunity knocked my door. 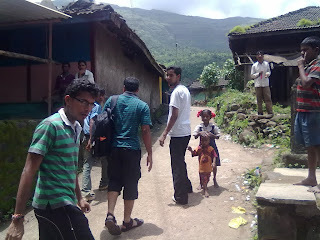 During this 3rd trek, we had a conversation with local shepherd. 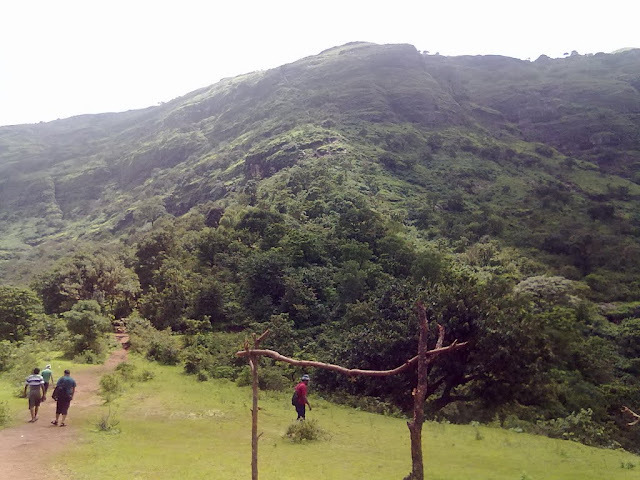 He told us that he used to take only 3 hrs to trek down those 13 hills........we were amazed to hear this stuff.........But I knew he's telling truth........it's their daily traveling route........they have the work which requires hard masculine work...they have developed stamina and endurance at such a level that we can't match it. 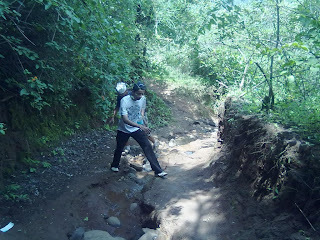 But I felt this 3 hrs as challenge and I decided to trek to test my guts. 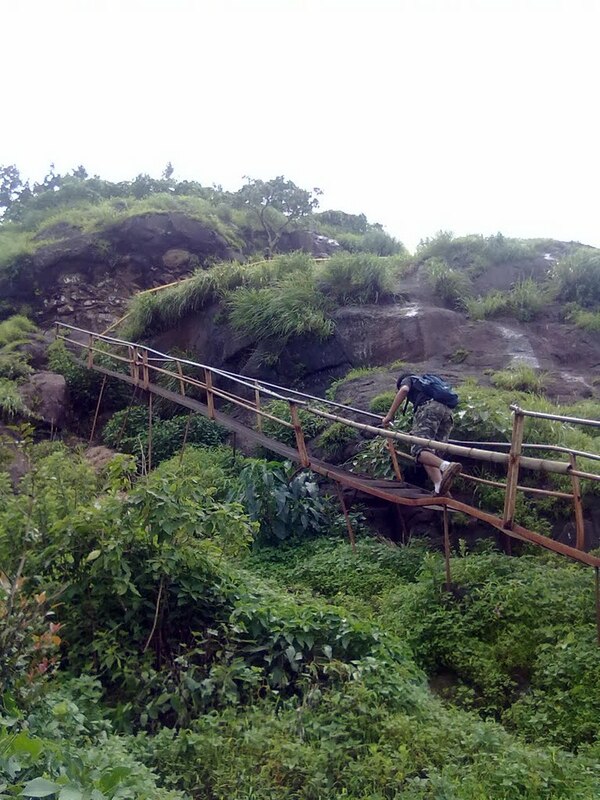 Finally on 15th August, decided to trek this route 4th times all alone……….If u take group with u then speed of slowest person will be the group’s speed…………I wanted to trek this route in fastest possible time..So I choose to travel alone…….. 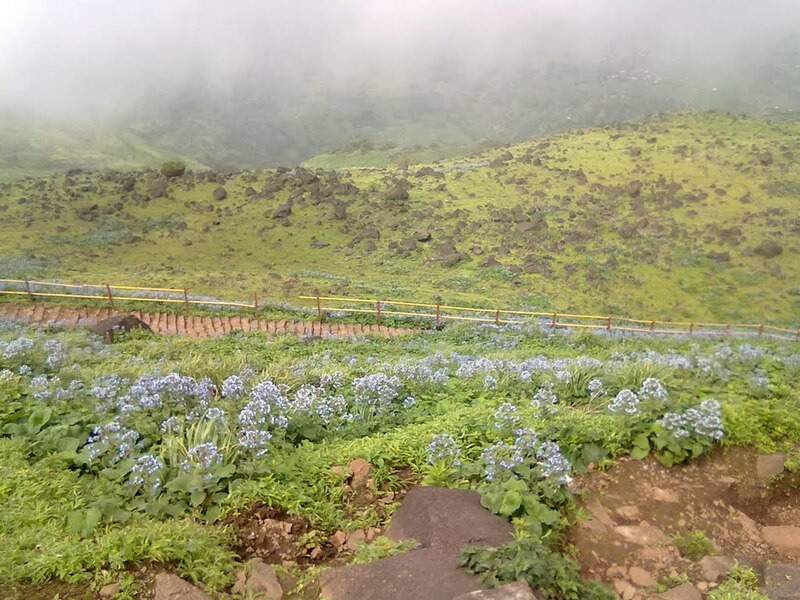 I have started @ 7.00AM……….Climate was pleasant……Due to over enthusiasm, I started climbing the hills with high speed……..soon after 2nd hill I was panted like a dog……….I recovered from it and climbed the further hills with descent speed………. 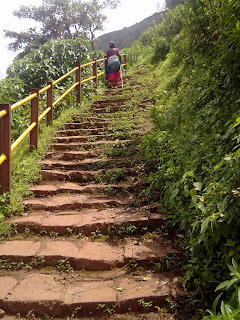 This route consist of 13 hills; u need to climb some distance then straight walk for a while and again descend down……….it was all over muddy surface ,which made me unable to descend down fast……….I was just thinking of 3 hrs target………during mid-way my right knee started aching badly……I was unable to walk swiftly after that…it was blow to my aim…..still I tried hard to continue my pace….. Finally I descend down to last hill where it connects at the ghat road of Sinhgad……..I rested at a small tea stall…and checked the final time…..I was more than happy with my performance…….It was 10.30AM in the clock……it took me 3.5 hrs to trek those 13 hills……I was just close to target…..Still I’m cheerful with the achievement…….from the tea stall, it took 1 more hour to reach @ Pune darwaja. 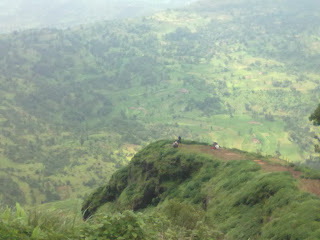 I finished the trek with great satisfaction. 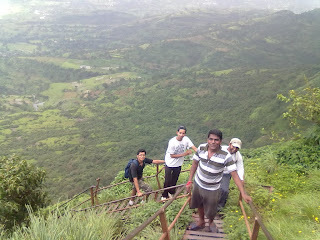 Expecting more such horizons to conquer!!!! 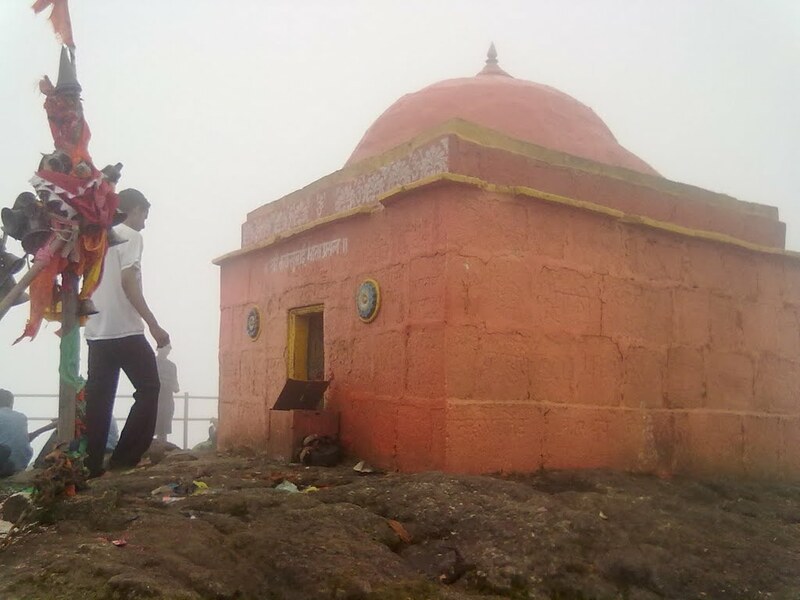 Rajmachi is made up of twin fortress named Manranjan and Shrivardhan.It was constructed during Satvahan dynasty to keep watch on Borghat(ghat between Mumbai and Pune). 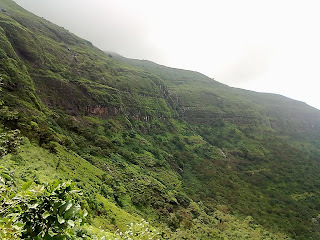 We started from Lonavala station and asked people abt Tungarli...........there is not at all any chances of missing the route, unless and until u make silly moves..The route passes through Tungarli village then tugarli lake and from there the nature's paradise will company u.................Lush greenery, numerours waterfalls makes u feel sky high. 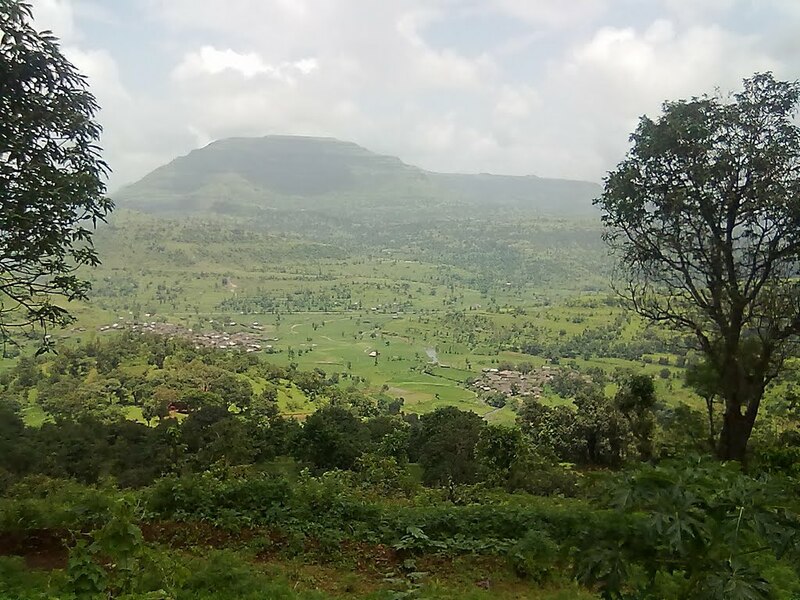 The views from both the Manranjan and Shrivardhan citadels are beautiful.